Josie Maran's line of cosmetics is natural and her makeup remover wipes go towards a helpful earth-friendly cause. 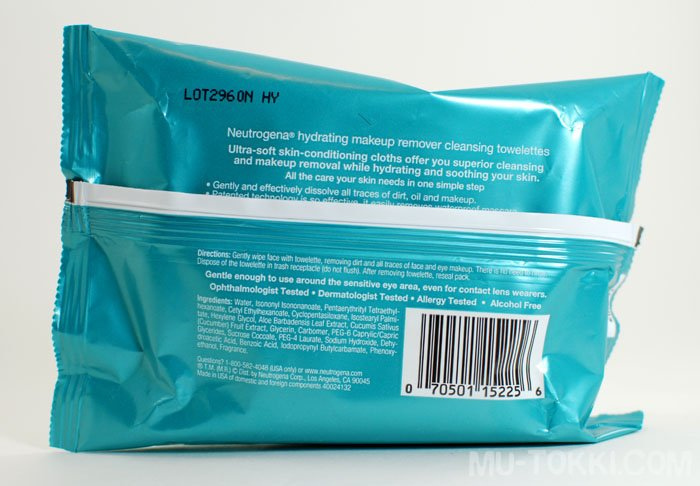 Up until now, I've been using Neutrogena ones as my go-to wipes and decided to compare the two brands. I tried only removing the top half of the swatches to show a comparison of the two different wipes. Bear Naked wipes have a citrus smell to them that reminds me of the Japonesque brush cleaner that I hated, so I don't like the smell of them. The wipes themselves feel clothy and thin (probably because they're biodegradable) and a portion of every purchase goes to help polar bears. 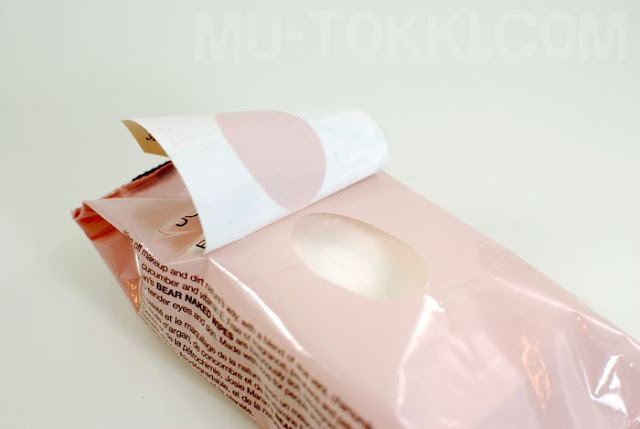 The packaging says that the wipes are gentle on the skin, but they are too gentle for removing eyeshadows applied wet, eyeliner and waterproof mascara. It should be noted that the wipes do not claim to remove waterproof makeup though. Overall, they are decent wipes, but 12$ is too expensive for what I want my makeup remover wipes to do. Even if I rubbed as hard as I could, the Lioele mascara would not budge.. 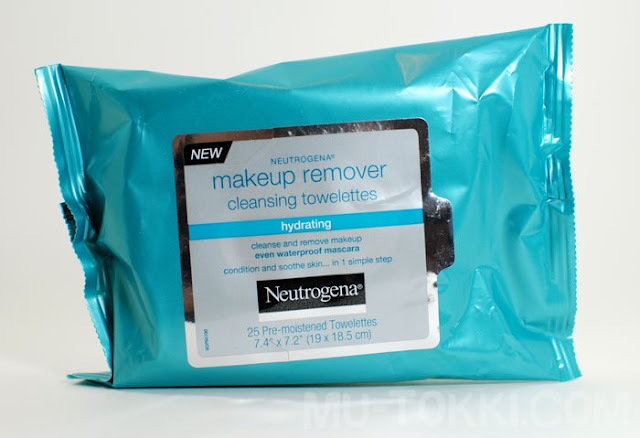 The Neutrogena makeup remover (7$ for 25) wipes I've been using are cheaper and hydrating, so they don't dry out my skin, though I opt to put on lotion afterwards anyway. 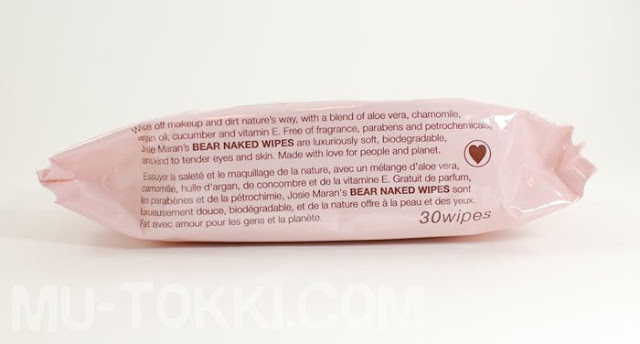 They remove waterproof makeup and require much less rubbing compared to the Bear Naked wipes. 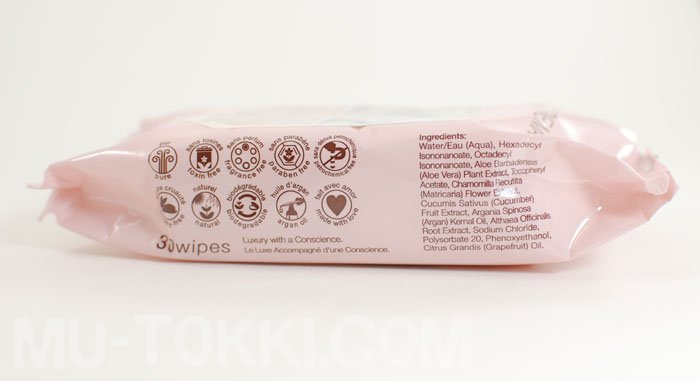 Also, I feel like these wipes actually remove makeup because they would look dirty (the Josie Maran ones never looked as dirty, if that makes sense). Neutrogena's packaging states the measurements, but I measured one wipe to be about 7 by 7.5 inches. Josie Maran Bear Naked (12$ for 30) wipes are earth friendly and generally perform okay. I personally don't like the smell, but others might like it. 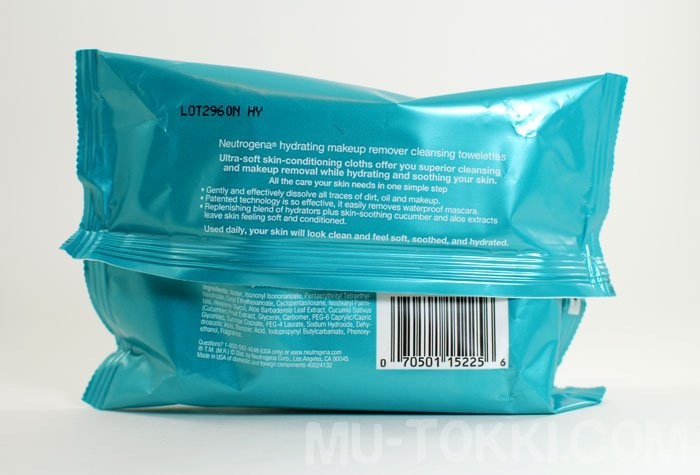 The wipes do not advertise waterproof makeup removal and definitely don't do a good job of removing it. This superficial removal is specifically seen with the swatches of MUFE Eyeliner in 0L, Stila Eyeshadow in Coal, Urban Decay Eyeliner in Mildew, and Lioele Up & Down Mascara. They are gentle enough for the eye area, but they won't be removing much. I had three different MUFE eyeliners on my eyes and tried to use a wipe to remove them, but there was barely any removal (just some flecks) even with some rubbing, and I had to stop after a while because my eye area was getting red and sore. I couldn't find measurements for each cloth size on the packaging, so did measurements myself: each cloth is approximately 6 by 7.5 inches. 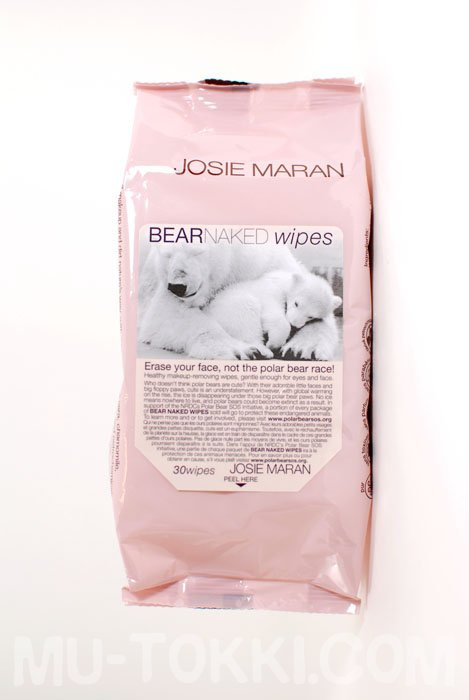 If you're looking for a great cause to help out, consider Josie Maran's Bear Naked wipes, otherwise, I'd stick to drugstore available makeup remover ones.